With a mix of seasonal, colorful vegetables, this pasta primavera is just the thing as the seasons transition from spring to summer. A pressure cooker makes quick work of this vegetable-packed Pasta Primavera— and I love my Instant Pot! Broccoli, carrots, and bell peppers add a rainbow of colors and flavors to a big pot of penne pasta. Then it all gets tossed with olive oil and Parmesan cheese. The veggies steam in just 10 minutes in the pressure cooker, and then the pasta takes about 20 minutes more. It’s a convenient, easy meal that I love to whip out on weeknights. I’m always up for a pasta dish that’s packed with produce, especially when there’s not a lot of work involved! Cooking pasta in the pressure cooker sounds kinda crazy, but it really does work! The texture might come out a little bit more chewy, because cooking under pressure with less liquid means that more starch stays in the pasta. I actually enjoy it. I keep the basic rule in mind of using a 2:1 weight ratio of liquid to dry pasta, and it always comes out great. I find that short, sturdy pastas such as penne, macaroni, and rigatoni work best. You can use either salted water or broth. I like broth in this recipe, because the rest of the flavors are so simple and the broth contributes a savory flavor that gets absorbed into the noodles as they cook. When you’re foregoing a creamy sauce (or any sauce at all, really), it’s nice to infuse some extra flavor into the pasta itself. Once the proper pressure has been achieved, the pasta requires just 5 minutes of cooking under pressure, and the vegetables take even less time—just 1 minute at low pressure. Because they cook at different rates, the pasta and vegetables should be cooked separately to avoid mushy vegetables or undercooked pasta. If you want to speed up the recipe, though, you can microwave your vegetables while the pasta cooks in the pressure cooker. More Easy Pressure Cooker Meals! Recipe note: Using a stovetop pressure cooker is not advisable for this recipe, as the higher pressure tends to create more foaming and sputtering issues with foods such as pasta. 1 Steam the vegetables in the pressure cooker: Pour a cup of water into the pressure cooker. 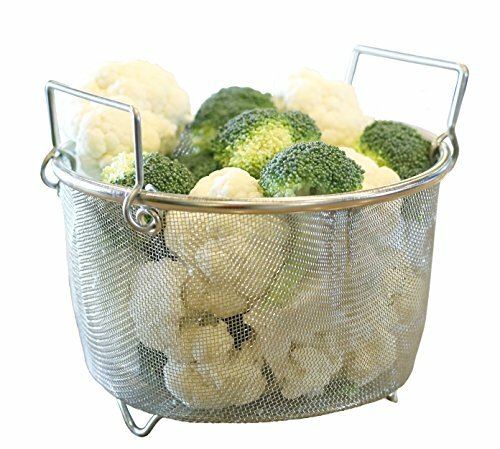 Combine the broccoli, bell pepper, and carrots in a steamer basket and place it in the pressure cooker. 3 Mix everything together and serve: Add the steamed vegetables, olive oil, parsley, Parmesan cheese, and black pepper to the pot. Stir gently until the vegetables and pasta are fully combined and evenly coated. Hello! All photos and content are copyright protected. Please do not use our photos without prior written permission. If you wish to republish this recipe, please rewrite the recipe in your own unique words and link back to Pressure Cooker Pasta Primavera on Simply Recipes. Thank you! Is this really any faster than cooking it the traditional way on the stovetop? What benefit does the Instant Pot bring to this recipe? I bought one but I don’t love it. I think the controls are not intuitive either. I find it frustrating. Hi, Laurel! Emma here, managing editor. The biggest advantage to cooking a recipe like this in the Instant Pot is the hands-off time. 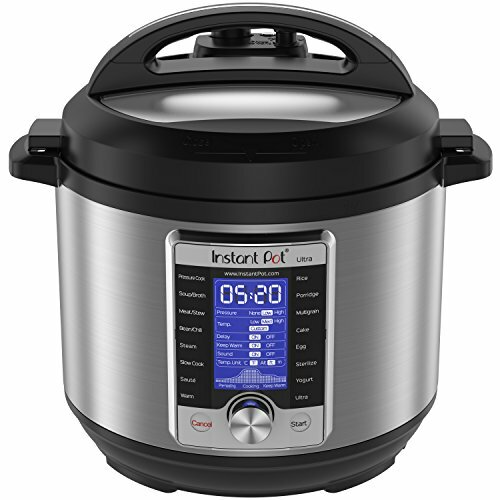 You’re right that the overall cooking time is about the same, but with the Instant Pot, you’re not tied to the stove or needing to actively pay attention to a pot. Yes, but a slow oven is hands off too. I’m thinking of making ribs or a pot roast where a long slow roast makes them tender. Also, the instant pot, IMHO, makes for a more watery result which isn’t always desirable. The only thing I’m using mine for right now is making yogurt. It’s great for that. How would I cook this recipe over the stove? Hi, Bonnie! Emma here, managing editor. You can steam all the vegetables on the stovetop or in the microwave, boil the pasta as usual, and then combine everything together. You might also check out this Classic Pasta Primavera for a stovetop version. It’s not exactly the same as this recipe, but it’s also very good. Enjoy!